After a weeks of rain and mush we got outselves a crisp white and sparkling winter! Here's an old postcard-inspired photo Asko Rantanen took and made of me in honour of that. Well, two years ago actually. Today it's -20C, no one would go out and pose in the woods like that now, that'd be insane. Painfully insane. 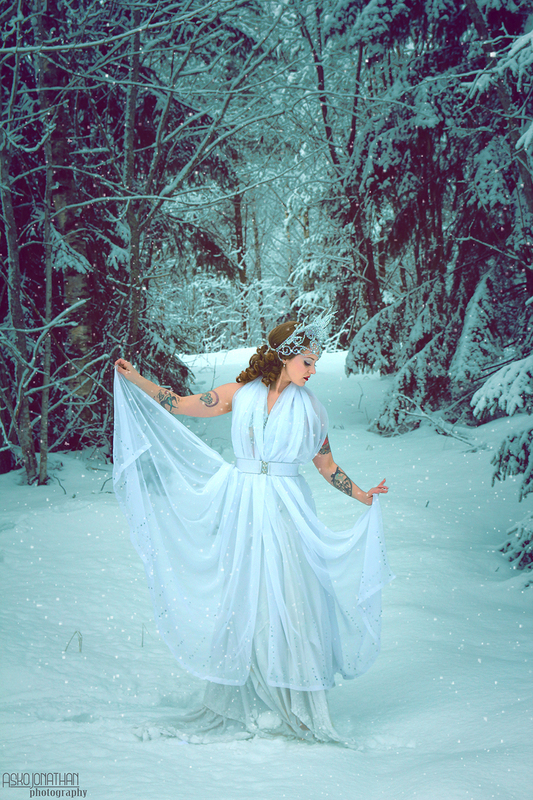 This was taken on a nice and snowy -1C day that was perfect for shooting, especially since we'd planned a snow queen shoot for weeks but it had kept on raining and we had decided on the date for the shoot and to just go with what the weather offered and ta-dah! In the morning everything was white and beautiful.